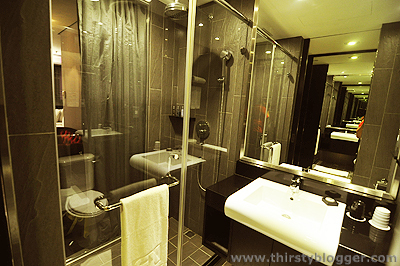 Before I tell you my thirsty travel adventures in Taipei, let me first give you a glimpse of where we stayed during our tour. 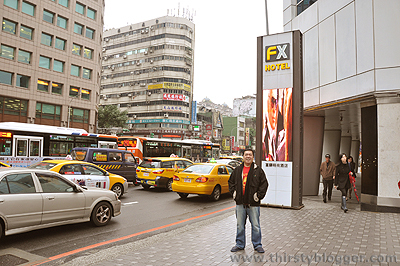 And that is in FX Hotel Taipei located along Nanjing East Road Branch, within the Zhongshan neighborhood. 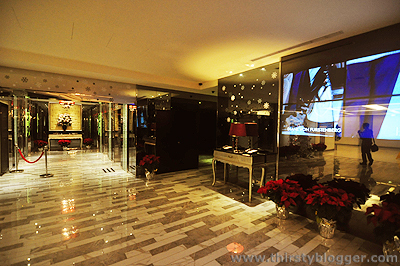 Anyway, FX Hotel is a 4-star hotel, which I think mostly caters to business travelers in Taipei. And if I were to describe it in one word, I’d go for… fashionable. I don’t think FX stands for anything, but if it were, the letter F would definitely be for “Fashion”. 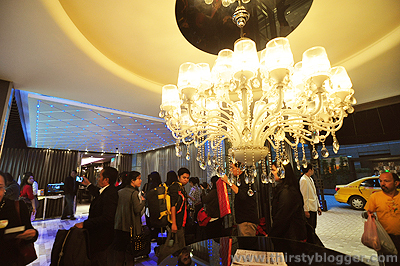 According to the staff, the hotel design tries to incorporate global fashion trends with the Chinese culture to create a unique ambiance of Asian glamor. Here’s a look inside our room. I love the red couch, very cozy! And I’d like to commend the pillows, which were very comfortable – not too soft, not too hard, but just right – I say this because I easily get a stiff neck in the morning when I sleep with “bad” pillows. Below is a peak inside our bathroom where I spent almost 30-minutes every night just enjoying a hot shower and washing off Taipei’s winter coldness. Anyway, I think me and my roommate were assigned to a “couples room” (despite having two single beds) because one side of the shower cubicle is a glass pane covered only by a curtain from the rest of the room. Plus there’s no lock on the door. If there’s one thing I’d remember best from FX Hotel. I think it would be their elevator, because it’s the first time I ever rode one with a television installation on the ceiling. And true to it’s ambiance, they’re showing FTV. As a blogger, I enjoyed my stay in FX Hotel because there’s free high-speed internet access inside the room (and even in the bathroom). And the staff are all courteous and attentive to the guests. 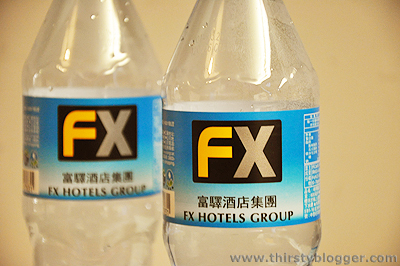 If you want to also experience FX Hotel, you don’t have to call them to book your stay. You can simply go to AirAsiaGo.com and avail of their flight and hotel packages at affordable rates. AirAsia now flies to Taiwan four times a week, with fights departing Clark at 12:05 p.m. and arriving at Taoyuan airport at 2:00 p.m.